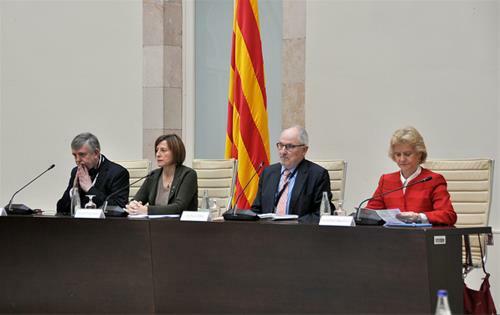 On 3rd and 4th of April, the Catalan Ombudsman, member of NEON, hold a meeting on the regression of Human rights, resuming a discussion launched a year ago. The Workshop was organised in the framework of the European chapter of the International Ombudsman Institute, chaired by Rafael Ribó. Among the most important speakers were the European Commissioner for Human Rights, the director of the European Union Agency for Fundamental Rights and the ombudsmen of France, Poland and the European Union. The debate concluded with a statement defending the work against political practices considered populist and the signs of backwards steps in terms of respect for human rights: European ombudsmen urge governments to comply with the international treaties on human rights and suppress states of emergency.